One of the biggest events in world piping continues its three-year run in Paisley. Taking place in the St James Playing Fields in Paisley on Saturday 18th May, this is a great day of free fun that all the family can enjoy. Enjoy the spectacle of over 4,000 elite-level pipers and drummers competing for some of the prestigious titles in world bagpiping. We’ve got a Highland Games / strongman competition, Highland dancing, family entertainment and a food village … so there’s plenty for the whole family to enjoy! This is a FREE event and you don’t need to apply for tickets. It’s so easy to get to this event. A free shuttle bus will run from the event car parks and Paisley Gilmour Street station to and from the competition site at St James Playing Fields. 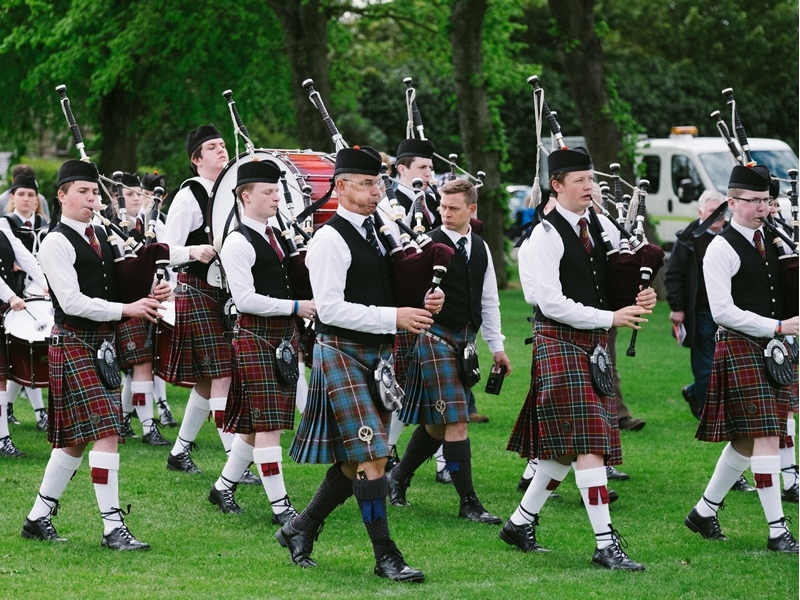 While we take every opportunity to ensure the details for British Pipe Band Championships are accurate, we always advise that you contact the event organiser before setting out for the event to avoid disapointment.